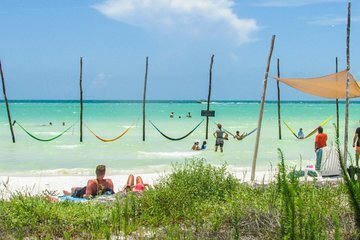 Explore Holbox Island (Isla Holbox) and its neighboring islands on this full-day tour from Playa del Carmen. Tour the protected area to see wildlife, marine life, and the colorful boats and houses. On Pasion Island, watch migratory birds before returning to Holbox Beach for lunch and free time.